What started as a hobby has grown into one of Ohio's most unique full service jewelry stores. 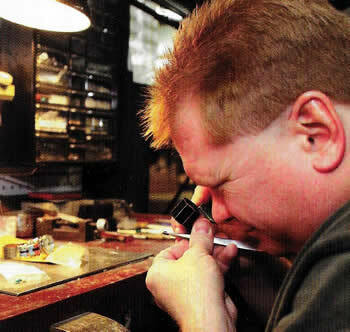 Allison's Custom Jewelry was started by Jon and Libby Allison in their garage in Sidney, Ohio. Six years later, the garage became too small and they moved to their present country location at 104 East Mason Road just outside of Sidney. The building that now houses Allison's Custom Jewelry is a 105-year-old rebuilt barn with an addition that is referred to as the "Diamond Mine". The walls of the "Diamond Mine" are sparkling quartz representing diamonds. A stream runs through the mine depicting one of the ways diamonds are mined. A visit to Allison's is truly a unique experience. Jon and Libby Allison are proud to have their sons Red and Dean and daughter Dana along with Red's wife Cheri involved in the business. We invite you to visit our beautiful showroom and meet our family. Four G.I.A. trained employees on staff. 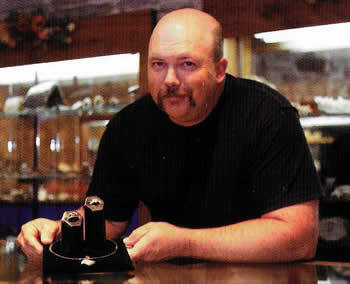 Proud to be a family owned and operated full service jeweler. Look for these special discounts and events. There is always something going on at Allison's Custom Jewelry. In September, look for our Fall Open House which is a kick off to the busy Christmas season. Then, closer to Christmas, we hold a ladies day. This is a special discount day for women only. A week later, the men have their turn with Men's Day and special discounts for men only. Allison's also offers a 15% off each birthstone of the month and we give a 15% discount to brides and grooms for bridal party gifts. Ask one of our friendly staff or check our website often for details on these and other special events throughout the year.